Michelle is a financial advisor and the firm's marketing director. Her belief is that open and honest conversations about life and money can lead to overall well-being. As someone who has experienced periods of financial insecurity in her own life, she knows it is incredibly helpful to discuss all options with a financial professional. She has found the best way to help someone is to learn their unique story to determine their most important life priorities, whether that be family, community, or career. She then educates clients on all their options in terms they can relate to, and offers non-judgemental life advice before making financial recommendations. She believes that home is where the heart is, so is passionate about giving back to the community. 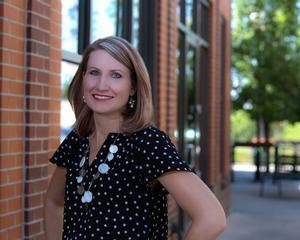 She is on the board of directors for the Two Ponds Preservation Foundation and the Sooper Credit Union Community Foundation; on a fundraising committee for the National PKU Alliance; and an active member with the Arvada Chamber of Commerce. In her free time, she enjoys volunteering, taking family-friendly vacations and getting outside with her three children.